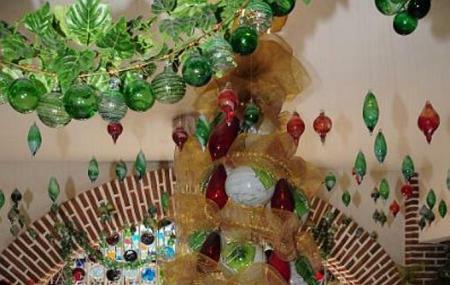 Find hotel near Vitrofusion Glass Blowing .. The Vitrofusion Glass Bowling Factory is a testimony to Mexico’s ancient art of glass blowing that was originally brought here by the Spanish. There is a little boutique located next to the factory where you can buy reasonably priced, hand blown glasses. There are a number of artisans working here and all of them are game enough to let you try your hand (or mouth) at the technique. The building itself is unique and a piece of art that is befitting of this trade. If you are a part of a day tour of Cabo San Lucas, this factory will be a stop for sure. Take a tourist shuttle or taxi here. How popular is Vitrofusion Glass Blowing Factory? People normally club together Mt Solmar and Cannery Beaches while planning their visit to Vitrofusion Glass Blowing Factory.